Former Neighbours & Home & Away graduate Luke Mitchell has landed the lead role in an upcoming CBS military legal drama The Code. The Code follows the military’s brightest minds who take on our country’s toughest legal challenges, inside the courtroom and out, in the only law office in the world where every attorney is trained as a prosecutor, a defence lawyer, an investigator and a Marine. The cast also includes Anna Wood, Ato Essandoh, Phillipa Soo and Raffi Barsoumian. He takes over the role of Capt. John “Abe” Abraham from Dave Annable, who originally played the role in a series pilot. The character is described as a driven prosecutor for whom becoming a Marine is a longstanding family tradition and a responsibility he treats with devotion and passion. Since heading to the US, Mitchell has appeared in Blindspot, Agents of SHIELD and The Tomorrow People and films Mothers and Daughters and Seven Minutes. The Code would likely screen in Australia on TEN. Sounds like a reboot of JAG. Good luck to Luke. A new JAG eh? It is a tough comparison, because Navy uniforms are sexier than Marine uniforms and Bellisario really knows what he is doing. JAG office covers the US Navy and USMC which is a sub branch of the navy-the formal USMC uniforms are military looking unlike the increasingly comic opera garb of the US Army-the ‘NCIS’ spinoffs of the original ‘JAG’ series are running out of steam and are in need of a follow on replacement, ironically a reboot of ‘JAG’! When I saw The Code I thought they were doing their own version of our The Code. But it’s a completely different show. 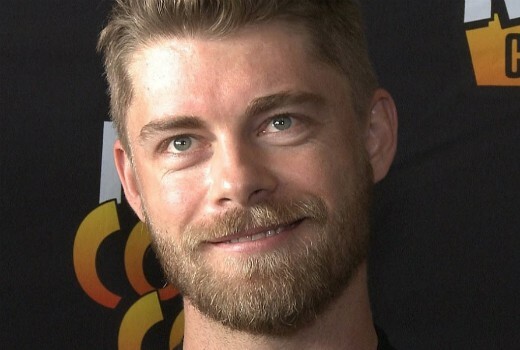 Good to see Luke Mitchell get another show after leaving The Blindspot.